Blogosphere Magazine is pretty hard to find and when you ask if a certain shop stocks it, you get the funniest look in the world. However, don't give up preserver and when you find you won't be disappointed There's a list of stockists here. 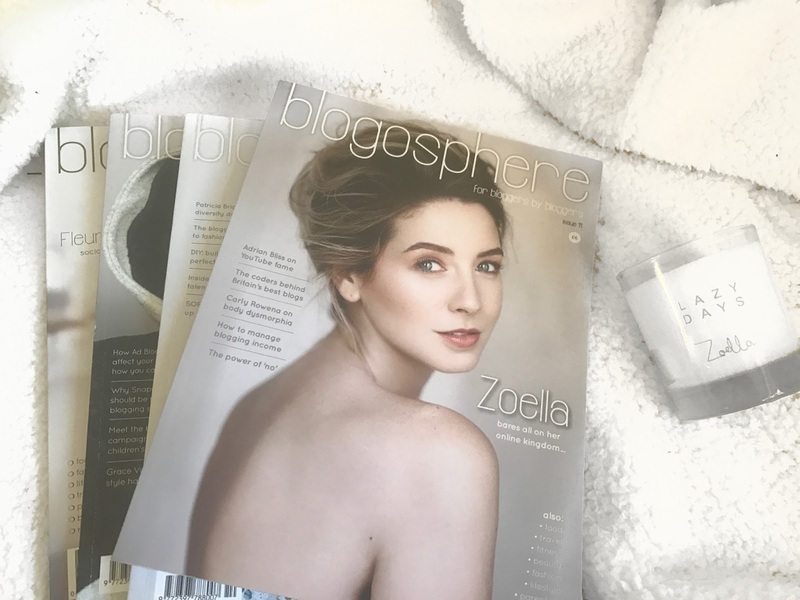 I had heard about Blogosphere magazine for a while but had never really done my research and then they released Issue 11 with Zoe on the front and the blogosphere went mad for Blogosphere (lol)! I picked up my issues from a website called Newsstand which helpfully stocks older issues, I picked up issue 11 and issue 3 in my first shop and then when i'd read them, I ordered 3 more with some of my favourite youtubers and bloggers on the front. You can buy them from Blogosphere itself but issue 11 was always out of stock! So the magazine is written by bloggers for bloggers and features an array of topics. There are interviews, articles about SEO and blogging rules etc and pieces by bloggers sharing their favourite blogs and photography accounts. Since reading them, I have discovered so many good blogs to read and lovely people to follow. I love the fashion and beauty edits and the inspiring interviews with different bloggers - big and small! Along with the magazine, Blogosphere also host events and workshops for bloggers. If you choose to subscribe to Blogosphere, you can also receive discounts on ticketed events and more! There are 4 different subscription packages that you can buy, details are on the website. 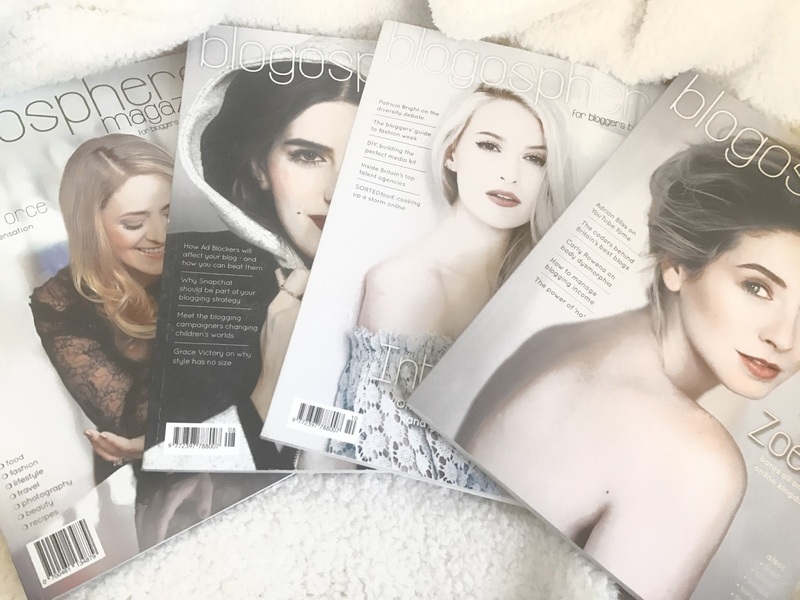 Have you read Blogosphere Magazine? 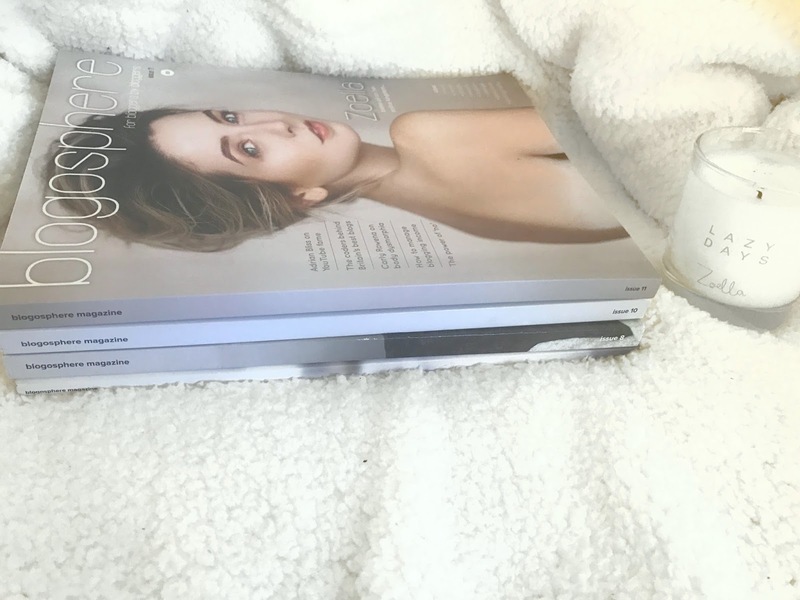 I love blogosphere magazine, I think its one of the best out there - keep meaning to pick up the latest one with Zoë in it!